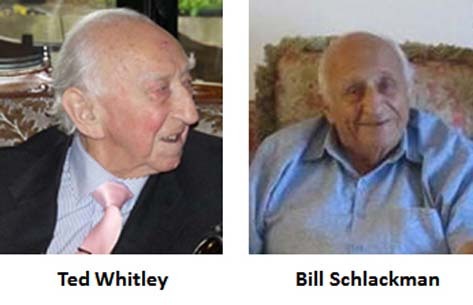 There are two new edited interviews, with Ted Whitley and a very long one with Bill Schlackman, available to listen to on the website, making 12 in total. Another 7 interviews have been recorded but not yet edited and one booked with Phil Barnard. This makes a total of 20 interviews and completes what we originally planned as Phase 1. We have identified another 10 people we would like to interview, so we are already thinking about how to carry out the next phase. We will need £3,000 to complete the editing of the interviews we have recorded and make a start on Phase 2 and have received donations amounting to £1,000, but will still need more money. We are therefore launching an appeal. If all members were to contribute £10 we would easily hit the target of £3,000. In the meantime, we have to decide how best to use the funds we have. Editing is expensive but can be done at any time, so we have decided that this year we will focus on doing more interviews and not edit any for the moment. However, if anyone would like to volunteer to help with the editing on an expenses only basis, Lawrence has agreed to train them. If you would like to make a contribution to this important project, please contact Gill Wareing. We will list the names of those who make donations in the Newsletter and on the website".